I am such a stud lover!!! Sparkly study lover! But we've gone over that before....oh come'on you naughty birds what did you think I was talking about?! ;) Earrings, duh!!! When the kind folks at Anjolee* asked if they could send me a pair of Diamond Earrings, you know I had to say yes!!!! I had such a hard time deciding what style to get, a stud earrings obviously won out!!! The versatility and everyday chicness/wearablity make them a definite closet staple!!! I own a few different varieties of a faux-diamond stud but for the past couple weeks these have won out each and every time - the quality and sparkle is second to nothing I own! I don't know why I've steered away from buying a higher quality earring for so long - I am now a forever convert! Anjolee has so many amazing pieces from amazing quality diamonds and stones in every style under the sun! I found the diamonds to be a great price and their service was amazing! I wish I liked hoops more, some of these Diamond Hoop Earrings, are fab! Have you made the jump from a Claire's version stud to a high quality CZ or Diamond Stud?? You totally should! And if you have - where were you and why didn't you tell me?!!! *This is a sponsored post written by me. All opinions are 100% mine! I love my studs too! 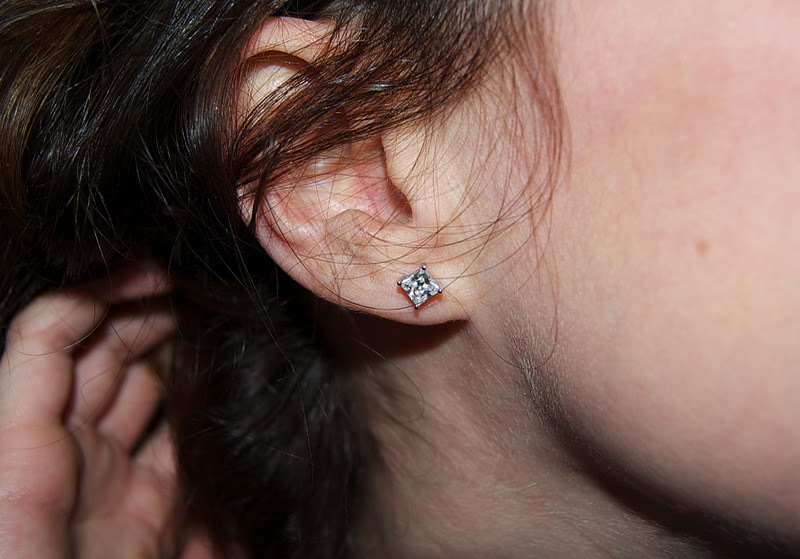 My diamond studs are some of my most worn earrings! I've had real diamond studs on my wish list for awhile now...I may need to take the plunge! super pretty! I'm a stud lover too, wear them everyday! i have thanks to grandma and grandpa. woot woot. but i need more...and a raise also. i love studs especially when i'm on the phone all day at work! So pretty! 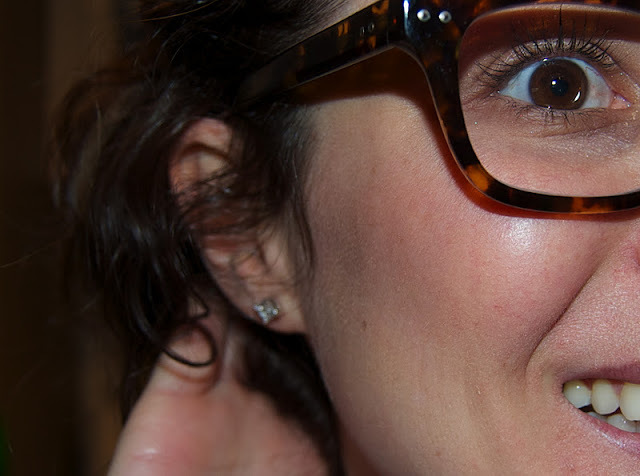 Love your specs too! I am completely a stud lover as well and I LOVE those!!! Gorgeous!!! You have the MOST LOVELY skin, m'dear. Seriously. So beautiful! We love diamond studs as well! SO pretty! Why have I forgotten how cute stud earrings are? It's a rare day when I don't wear studs! I have a nice pair that my grandmother gave me for my 18th birthday, and then dozens of others that are lessor quality. I'd love a square pair - those are gorgeous! !